The best value waterfront in Walling Grove! 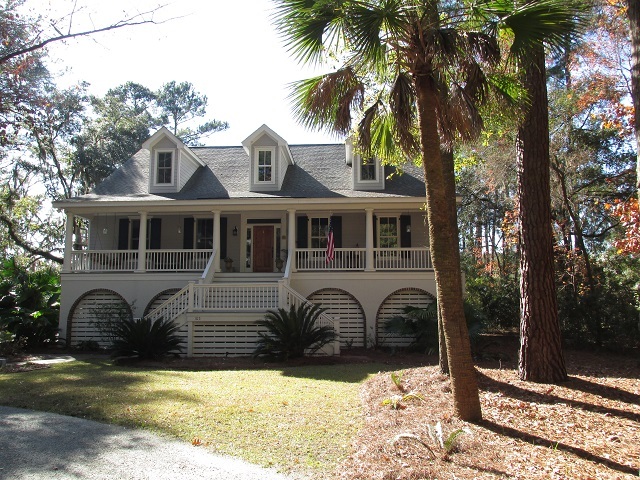 This community is located on Ladys Island SC, close to everything Beaufort and the surrounding areas have to offer. Conveniently off of Brickyard Point Road North. 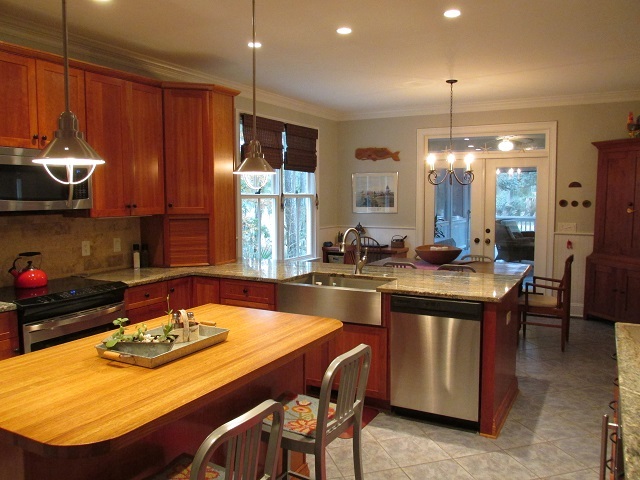 This 3700 square foot home has three bedrooms and three and a half baths in the main house. The detached guest cottage enjoys approximately 500 square feet, full bedroom and bath with an open kitchen and living area. The interior of this home has spared no expense on wonderful features, starting with the custom antique heart pine front door. The open floor plan looks out across the gorgeous water view. Beautiful Heart pine hardwood floors throughout, as well as Cypress wood ceilings in many of the rooms, adds the perfect touch. The spacious gourmet kitchen offers stainless steel appliances and plenty of counter and prep space, on granite counter tops. Enjoy a meal in the formal dining room, or wonderful Carolina room. The breakfast area offers additional seating as well. Another unique feature of the home is the dumb waiter. 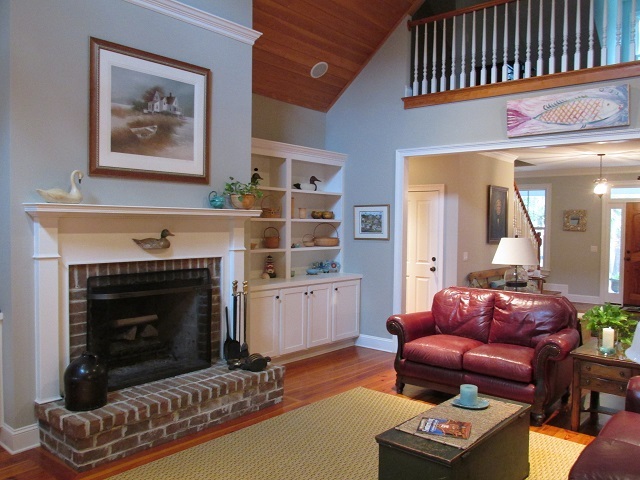 The main living area boasts an attractive Isokern wood burning fireplace, perfect for entertaining guests. 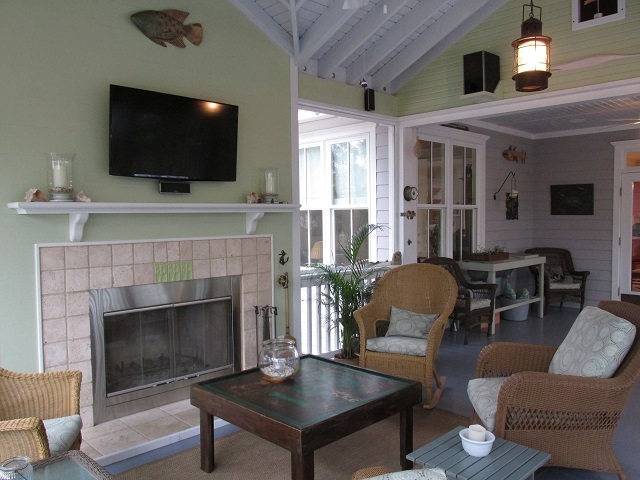 Or relax in the large screened in porch with its own fireplace. The open deck, just off the porch, is a great place for the grill. The first floor master suite has a private retreat that can be used as an office or sitting area, and a roomy soaking tub in the master bath. Each bedroom has walk in closets and private bath. 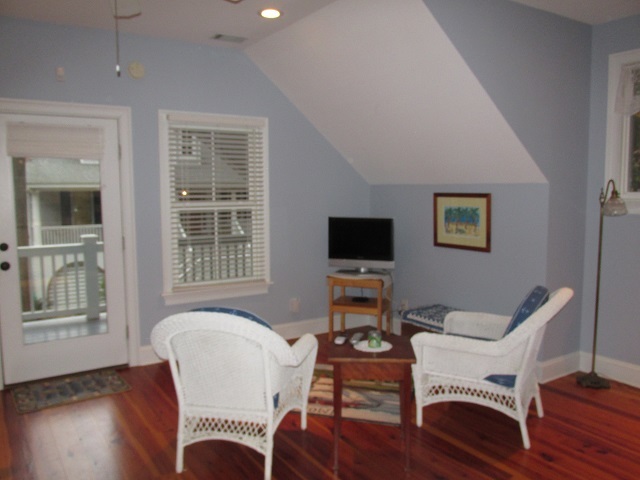 The detached guest house is perfect as an in-law suite. It has a full bath, morning kitchen, walk-in closet, and storage room. Below the guest house is a large area which is perfect for storing boats, classic cars or a man cave. 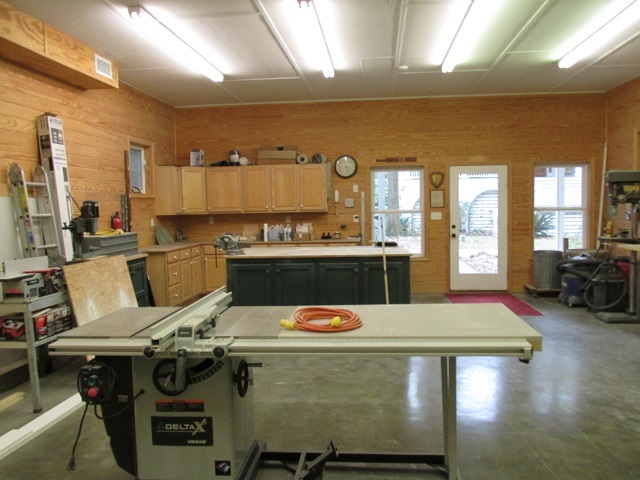 It is currently set up as a custom wood working shop. 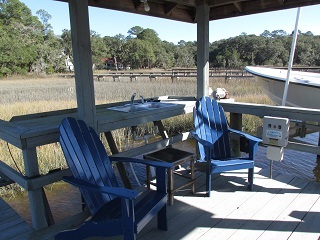 The private dock is complimented with a covered pier head, 9000 lb lift, and aluminum ramp. It is in deep water tidal, with a minimum of three feet of water at low tide. The view across the creek is preserved under a conservation easement. The landscape is impressive, with an irrigation system, crushed granite 3 car garage, and paved walkways and patio. The tall trees surrounding the home offer cool shade during the hot Lowcountry summers. Enjoy the outdoor shower after a long day on the boat! 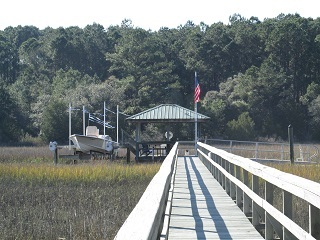 The neighborhood of Walling Grove is a private residential community located on Ladys Island SC. 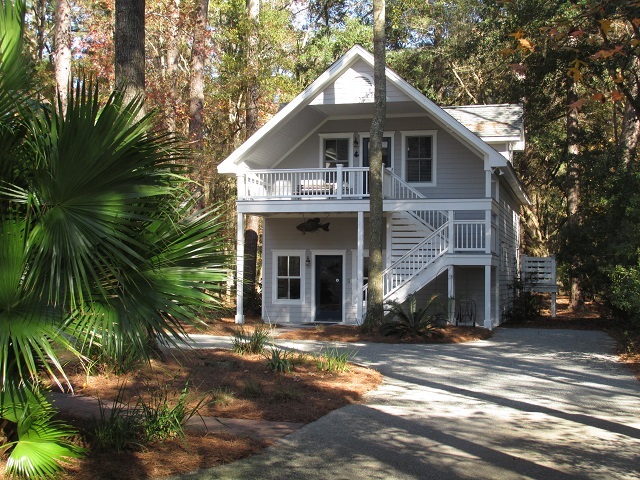 It is surrounded by an abundance of wildlife and natural beauty, offering a great feel of the Lowcountry. The neighborhood has amazing views and is surrounded by not only the Coosaw River, but tidal creeks and saltwater marshes as well. Fresh water ponds, wetlands, forested areas, and meadows are throughout the neighborhood.